Off-site parking at the Festival, what’s the deal with that? All those lots and vendors outside the Festival’s grounds? Yup, they’re legit. Traffic — and parking — getting into the Florida Strawberry Festival can be quite the hassle, particularly with an annual draw of around 550,00 people. That’s an average of more than 50,000 people (most trying to squeeze down Thonotosassa Road) each day. Closed between Feb. 16 and March 16. Closed between Feb. 24 and March 14. If you’ve traveled to the festival before, it’s near-impossible to miss all the cars lining the streets leading to the festival grounds, hand painted signs, traffic cones and safety vests. Then there’s all the folks between Interstate 4 and the festival gates offering rides from far-off parking spots or trying to push strawberries and kettle corn on you as you pass. If you’re new to the festival, get ready -— it can be quite the sight. Fear not, travelers and would-be revelers: it’s all legit. The areas surrounding the Strawberry Festival are actually part of Plant City’s Florida Strawberry Festival Special Use District Overlay (FSFSUDO). According to city staff, the FSFSUDO was created to legitimize activity that supports such a large economic driver as the Strawberry Festival. Basically, city leaders are trying to sweeten the fruits of the festival which might otherwise sour on nearby residents. “No permits or taxes are required by the city of private owners parking cars due to the inconvenience caused by the festival for 11 days,” City Manager Bill McDaniel said. The FSFSUDO doesn’t change any of the zoning or land-use restrictions of the surrounding areas, but it essentially relaxes restrictions for the duration of the festival. 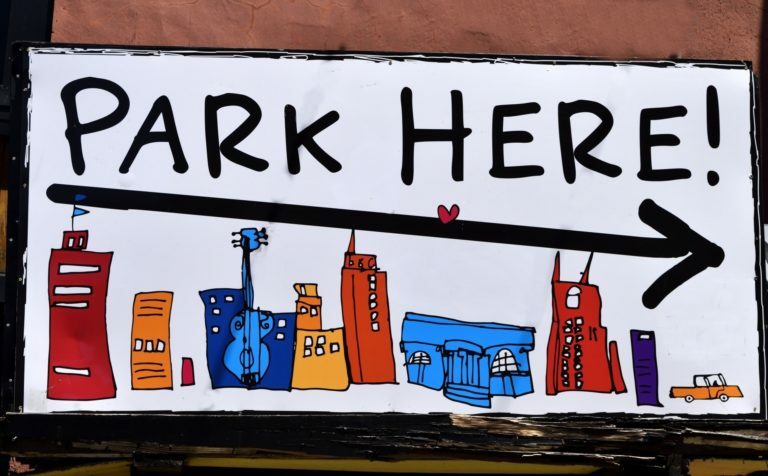 Homeowners can rent parking spaces to festival patrons or vendors. Many have been participating for over 20 years. For some, it’s a highlight of the festival season. Families, like the Davis family on Thonotosassa Road, even said they’ve made some lifelong friends out of being the go-to parking spot during the festival. "Exit 19 can be parking lot. Everybody’s using the GPS and getting off interstate. If you want the insider tip, come from the south." McDaniel said hitting the "alternate route" or equivalent option on your GPS might be best. For the easiest travel, he said, try taking State Road 60 or State Road 574 and skipping the interstate. "Most of the time you can come in from the south and you have clear sailing until you get to the parking lots," McDaniel said. While homeowners get to keep the lion’s share of parking profits, there are restrictions for vendors. According to city documents, vendors who set up in the district are charged $21 per day. Pedi-cab and golf cart operators only pay $42 for the duration of the festival. So, next time you’re cruising for a place to park on the way to the Strawberry Festival don’t be afraid to pull onto a lawn (only if asked to do so, of course) and make a new friend. “Building new memories,” is, after all, the theme of this year’s festival. You might not even have to wait to get through the gates to do so.